As I was wearing a new deep purple lippy (again, there will be a post coming about that soon too!) 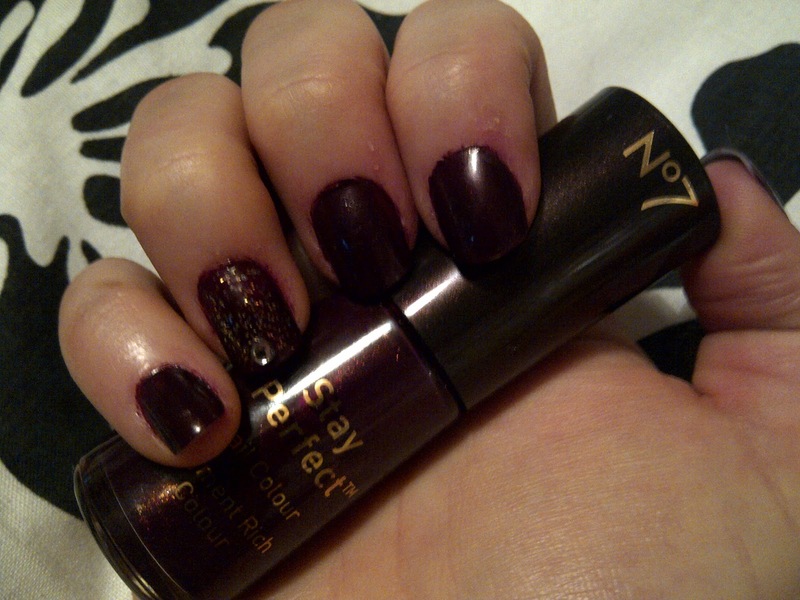 I wanted deep purple nails to go with it and as I don't really own many purple varnishes I treated myself to the No7 stay perfect nail varnish in 'Blackberry'. I used one of those trusty fiver off No7 vouchers to buy it making it a little £2 bargain. I really love the colour as I have a bit of an obsession with my 'beautifully black' No7 nail polish and this is a nice alternative dark, but bit girlier shade. I also don't really like having just having one block nail colour on without any extra decoration, so added a bit of bling to my ring fingers by putting my gold glittery Rimmel top coat on them followed by a gem from my Kiss nail artist rhinestones. What do you think of my understated glamorous look? 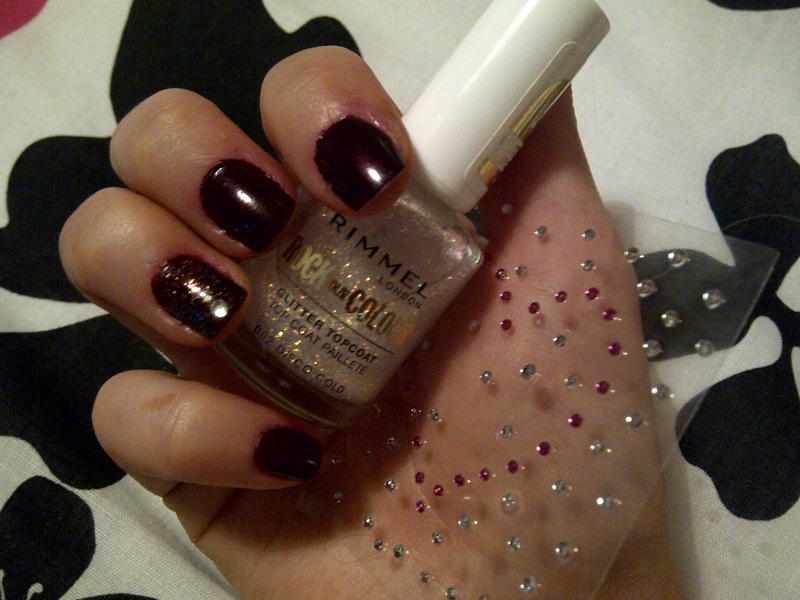 Do you like to do something a bit more fancy to your ring fingers? I'm having a lovely chilled day today just doing all the jobs I haven't had time to do in a while, then I've got the opening performance of 'Alice's Adventures in Wonderland' tonight followed by the first night meal which I'm so excited for! Looks great! 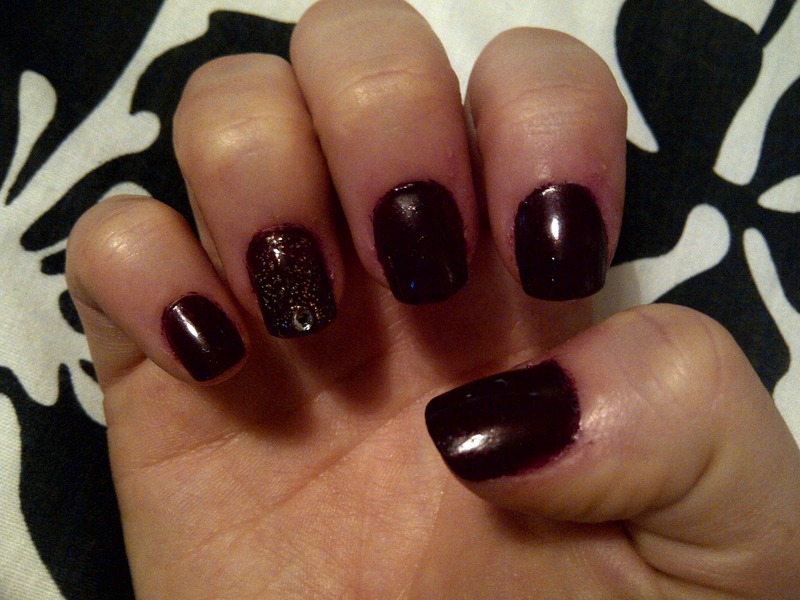 I never do anything special with any of my nails, but I <3 looking at other peoples hands who do!